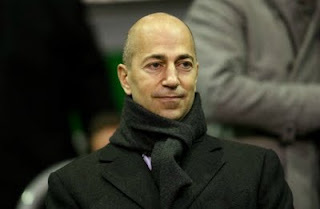 Ivan Gazidis has admitted that Arsenal have got it wrong on occasions when purchasing players in the transfer market. The club's chief executive was speaking at the Arsenal Independent Supporters Association (AISA) AGM held at Ashburton Grove last night. He told AISA members that the club hadn't always got it right when buying players because they spent too much on acquiring talent. "We need to think how do we responsibly grow revenues and then we have to think on the other side how do we spend the money we generate as efficiently as we can knowing that every football club, including us, makes mistakes on players as they go along. "We're not going to get those decisions all right. But how do we do it as efficiently as we can? "In any graph that you see, any analysis you see about efficiency of spend, we are at the top of the pile. We do it very well. "That doesn't mean we do it as well as we can and it doesn't mean we don't have to do it better, we clearly do because we haven't won a trophy in the past few years. So we're not achieving our objectives. "We need to be better at efficiency of spend." Gazidis raised the issue of getting value for money on the same day Arsenal paid Southampton what the south coast club described as a "club record fee" for teenager Alex Chamberlain.